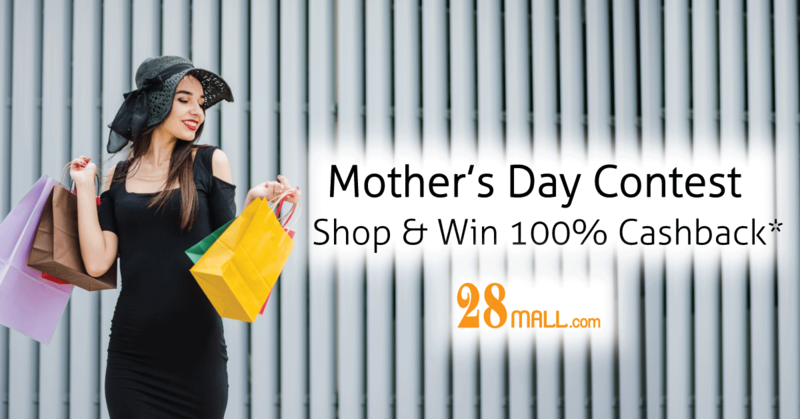 28Mall.com – Original Brands Online Shopping Loyalty program Mother’s Day Contest is giving out up to 100% Cashback on your shopping. The more you spend, the more you can win. 3. Prize is not transferable and winner will be requested to post photo of their 28Mall shopping products into social media, and these photos can be used by 28Mall.com for promotional purposes.